Glimpse of our recent Indian Folklore Performance “Doors to Divine” .. A folk jugalbandi with graceful Manipuri touch..
One of its first kinds of show “Indra Dhanush” was organised at Wiesbaden. It was a perfect closing of the event with D4D’s “Incredible India” Performance. 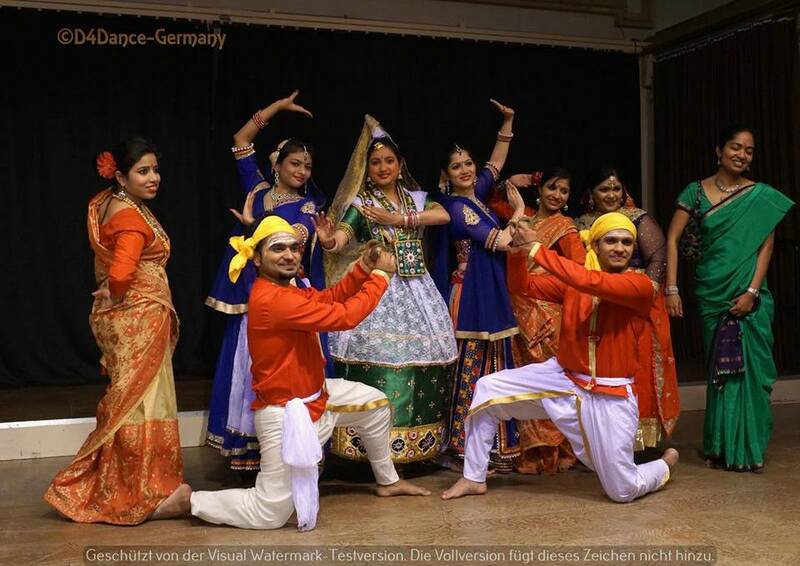 KALA SANGAM is an initiative from Consulate General of India, Frankfurt, to bring various artists together under one roof, who are promoting Indian culture through dance and arts. The first pilot project – show was “Indra Dhanush” , an Indian classical , Folk dances and Music Festival. D4Dance, team presented a unique concept of “Doors to Divine”, through Dance. A Jugalbandi of Bihu, Kamsale, Garba and Manipuri dance forms. It was Great share the stage with amazing artists who travelled from different places of Germany and contributed to the successful show. Thank You Consulate General of India, Frankfurt and Indische Tanz Akademie for giving this opportunity.